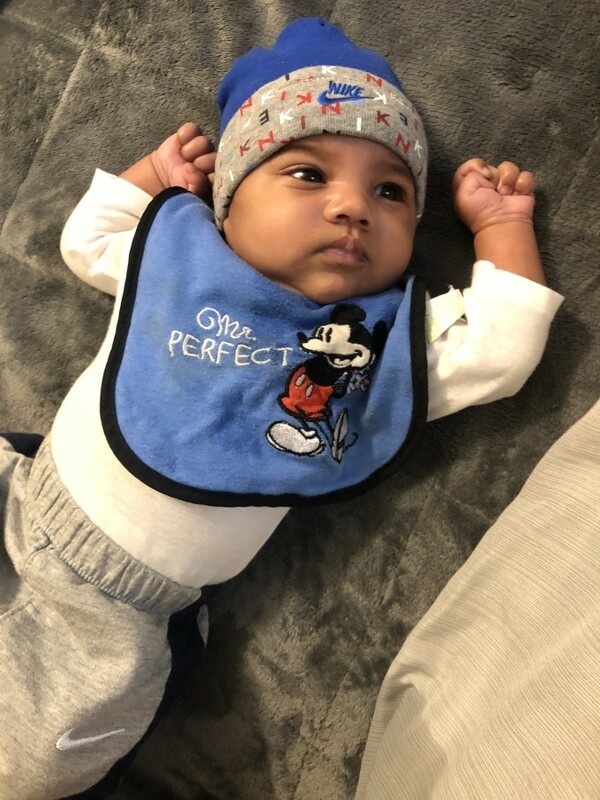 Tyrone Lamarr Woods, Jr. was born Monday, February 18, 2019 to Brooke Michelle Walker and Tyrone Lamarr Woods, Sr., in Noblesville, Indiana. He departed this life on Saturday, April 13, 2019. Tyrone's family was blessed to spend one month with him, before he went to his heavenly home at 4:48 a.m. He experienced holding hands with his mommy and daddy, hugs and kisses from his family, and being told "I love you" an uncountable amount of times. Tyrone is deeply loved by his mommy and daddy; big brothers, Kobe and Kamden; big sister, Keyie; maternal grandparents, Christina and Rob; paternal grandparents, Tommy and Arnia Woods, Sr.; aunts and uncles, R.J., Aubrey, Trinelle, Travis, Tristian, Terence and Tommy Jr. He was preceded in death his uncle, Tyrell Woods; great grandfathers, Tommy C. Woods and Verice Pointer; great uncles, Ricky Woods and Timothy Woods; and cousin, Clarence Prince.